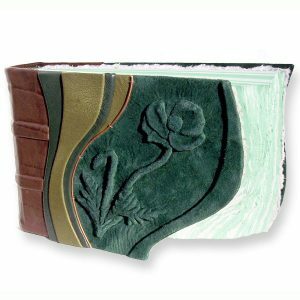 A tulip has been hand carved and embossed under suede sage leather on this book with an internal surprise. 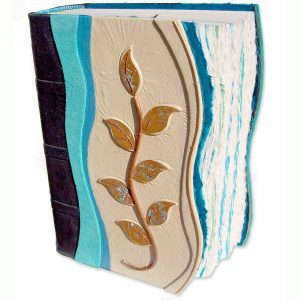 Inside this handbound book, there are many blank acid-free pages ready for writing. The back half of the book hides a section of pages secretly glued together. 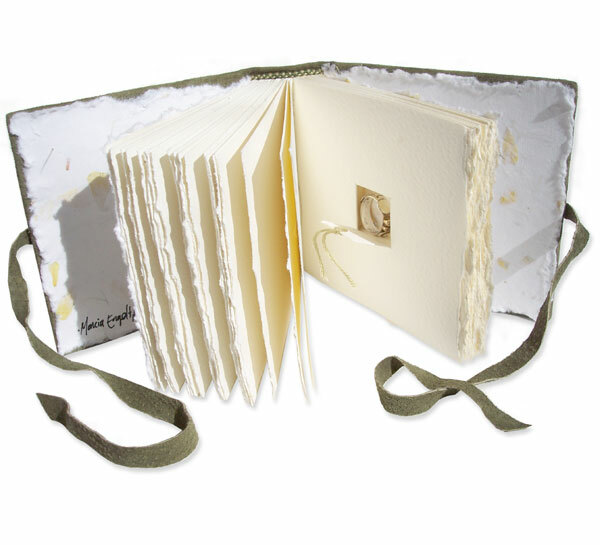 Within the center of those pages is a hidden compartment for hiding an engagement ring. It was custom made to fit an exact size ring, so the compartment could be as subtle and small as possible. A pull on a spring reveals the ring within the compartment, held in firmly with the snug fit paper flap to hide it until ready. 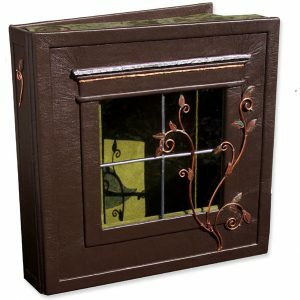 A soft leather lace, attached to copper washers, holds the book firmly shut. 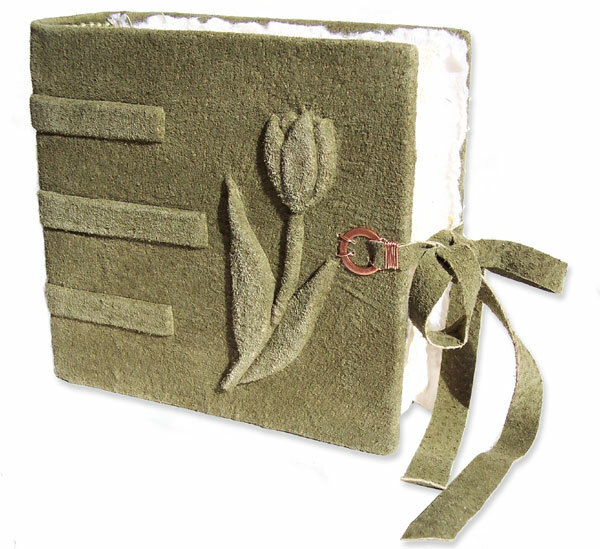 Handmade paper coversheets include bits of flower petals. Please CONTACT me to CUSTOM ORDER any design or size.